Paola Rinaldi run this historic estate, founded already in 1870, which makes it one on Barolo's oldest wineries. Their produce is solid year in, year out, and its core focus has always been Barolo. The winery sits on top of the famous Canubbi vineyard, and this wine is as majestic as Barolo can be. Apart from Barolo, Paola also produce an age worthy Langhe Nebbiolo, serious Barber and an outstanding Grignolino. All wines are aged in big casks holding 30HL, and Francesco Rinaldi's Barolo are bottled later than most. Paola knows that rushing things seldom pays off. 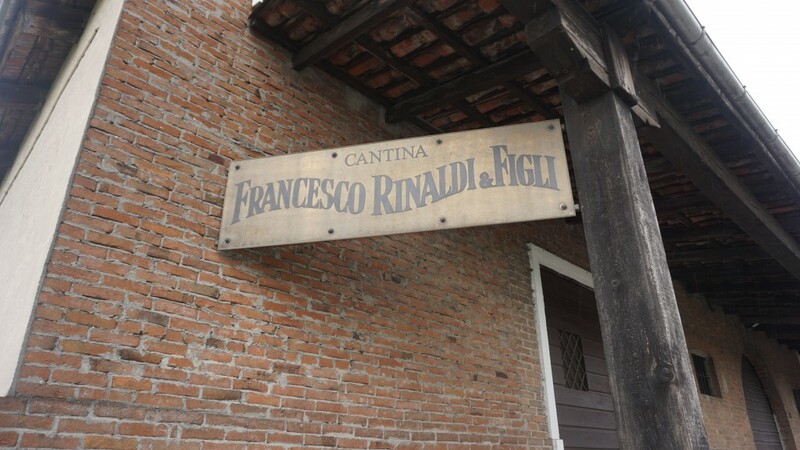 The Francesco Rinaldi winery is like a church. Complete silence here. Once you enter, you release that time itself is true here. The location is just amazing, overlooking the Canubbi vineyard, from where Rinaldi's most famous wine is born. I've never ever heard Paolo Rinaldi discuss philosophies, at least not when it comes to wine. She just aims to produce the best wine possible from what each vintage provides. Her style is doubtlessly classic, as tannins are very present in all wines. Paola Rinaldi's wines doesn't "please" anybody; you - the consumer - must understand their message. Tradition is key here. Long maceration gives Francensco Rinaldi's wines an honest, tannic kick on the palate. With time in cellar, wines stand out for the classic elegance and true varietal character. This wine comes from the vineyards of “Cannubbio”. Cannubbio is the more powerful of the two Barolo crus – its tannins are a little more prominent, its flavors exhibit a bit more mushroom and earth, and it ages more slowly. Thus it’s a good candidate for cellaring, although in most vintages the wine is approachable upon release, especially after decanting. HOW: Long maceration and dito ageing in Botti create wines that aren't at all opulent nor flirty, but instead honest interpretations of the Langa hills.